Give 2 – 5 students the evil red balls (they are it). Give each remaining student a pinnie. If a student gets tagged by an evil red ball, they must stand with their feet together and their arms spread out with one hand holding the pinnie (they are a laundry line, holding a piece of laundry out to dry). 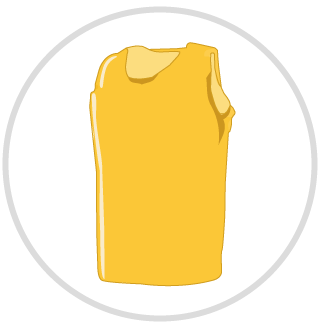 To be saved, a frozen student must be given a piece of “laundry” (a pinnie), in their free hand, and must have their “laundry” (their pinnie) taken from them from their other hand. Change evil red balls every few minutes.